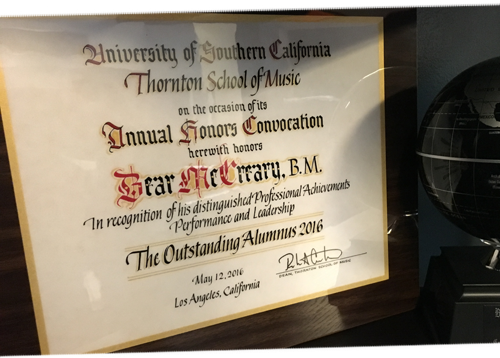 Last week I had the tremendous honor of being both the Outstanding Alumnus and Commencement Speaker for the USC Thornton School of Music. 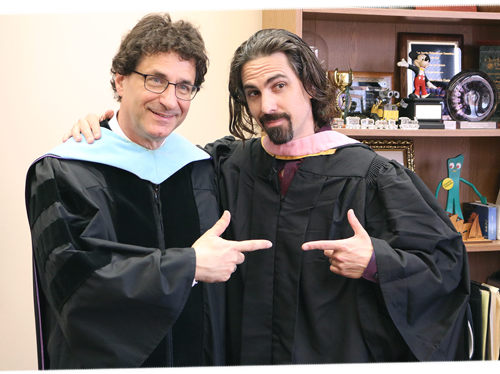 It was a joyous and surreal experience to return to my alma mater in this completely new context. 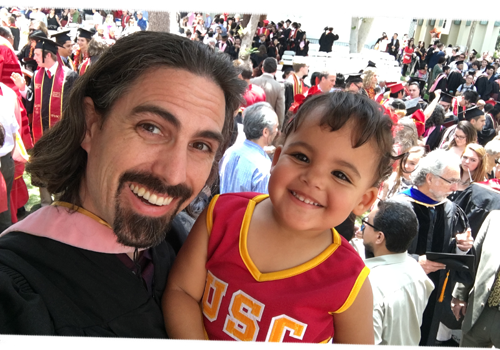 Seeing so many familiar faces from my past, and witnessing graduates from such a wide range of backgrounds and disciplines, put my post-college life and career into perspective. At the Honors Convocation on Thursday, I was pleasantly surprised by a student performance of my original piece “A Hypocrite and Slanderer.” This piece for string quartet was commissioned by the Calder Quartet and the Getty Center and originally debuted at the Getty Museum in 2012. The student performers (Chiai Tajima and Margeaux Maloney, violin, Benjamin Chilton, viola, and Jonathan Dormand, cello) did a remarkable job, especially considering that the material is pretty difficult, written specifically for some of the best players I’ve ever encountered. 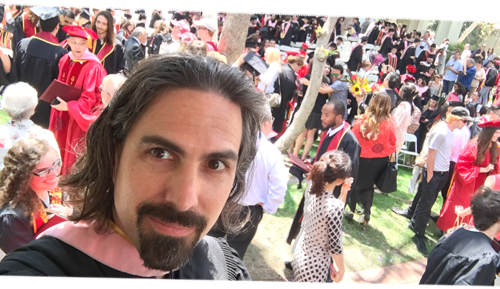 Ever since Dean Cutietta called me last Fall to ask if I would be involved in this year’s commencement, I struggled to think of what to say to the graduating class. I really wanted to say something that could be useful to people, something beyond the usual “believe in your dreams” clichés we’ve all heard so many times. Whether or not I succeeded at that, well, you’d have to ask someone who was there, but I certainly hope I did. My speech, entitled “Attitude is Everything,” was a chronicle of how having a positive attitude shaped my career in good ways, and how having a negative attitude had the opposite effect. I talked about the people I met scoring my first student film with an orchestra of 8 players, (after calling nearly 100), and how that experience formed working relationships and friendships I still retain today. I also talked about how my attitude changed for the worse in the years after “Battlestar Galactica,” and how my career suffered as a result until I focused on adjusting my perspective and behavior. It was a story I’ve told in private many times, but Friday was the first time I’ve told it in public. I gathered from people’s responses afterwards that they really liked it. 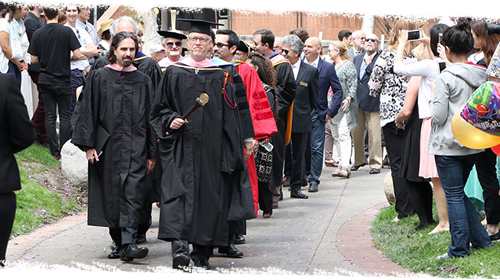 USC’s website actually wrote up a really nice summary of my speech which you can find here. I’ve learned over the years that attitude really is everything. It can stick you in the mud, or elevate you to new heights. I do think there’s a valuable lesson in there, and hope some people could learn from my happy accidents and mistakes. I may adapt that speech and put it out in some other form in the future, perhaps as a blog post or podcast or something. If I can find the time, that would be a lot of fun. Anyway, I just wanted to share some fun pictures from the day with you all. I hope my speech was useful to a few folks out there. 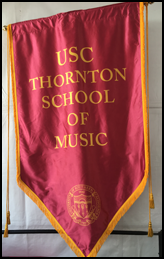 Thanks again to the USC Thornton School of Music for this honor.